Gorilla Grass is prefect for residential use. With only a little maintenance your garden will look stunning all year round. Gorilla Grass is ideal for recreating grass enviroments both inside and out. The possibilities are endless. Based in Newport, near Cardiff, south Wales, Gorilla Grass specialise in the supply and installation of synthetic grass lawns (artificial turf) for both domestic and commercial applications. We have a large team of installers that cover all of the south and west Wales area including Newport, Cardiff, Bridgend, Llanelli, Swansea and Camarthen. Why Choose Gorilla Grass Artificial Grass? Our artificial grass looks like the real thing and feels like the real thing. You will never have to mow your lawn again and it will never require watering. With no mess and low maintenance You can enjoy your garden 365 days of the year. 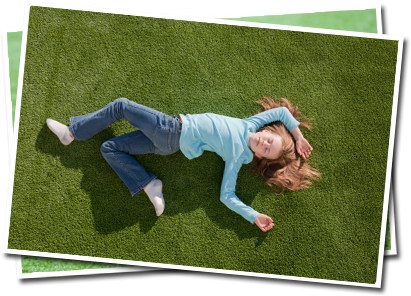 Artificial grass is perfect for a wide variety of uses including residential gardens, Schools and playgrounds, exhibitions and more. We have a wide range of products available in different colours and varying thicknesses. Call us on 0800 999 6665, 07914 007588, or complete the contact form for a FREE no obligation quote.